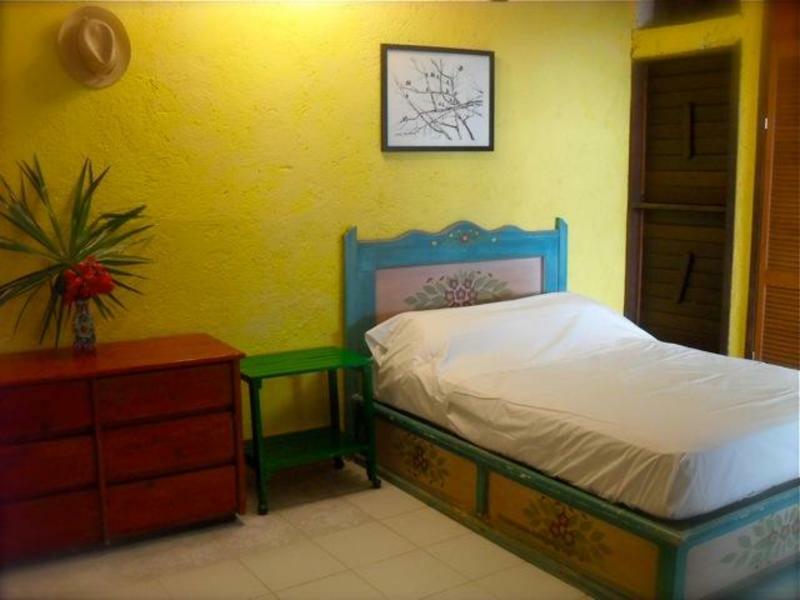 The hostel is eco friendly where private rooms and dorms are independently immersed in a tropical Caribbean garden exotic vegetation, natural palm roofs and relax atmosphere. 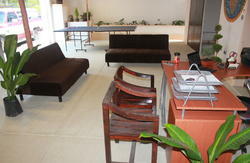 check our Facebook page. Cash accepted as payment upon arrival. By bus: walk out of bus terminal in tulum along main street direction north ( playa del carmen), five blocks spot restaurant don cafeto on right side of main street corner turn right this is calle centauro sur you will see several aligned restaurants one after the other international cuisine ( le bistro, elemental, etc, ) pass the restaurant area and next block you will see the hostel sign. 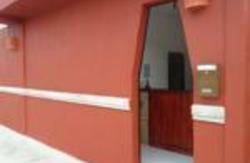 by car: from the international airport in Cancun drive down south highway 307 direction to tulum arriving at Tulum town roundobout turn left at scotia bank corner drive two blocks turn right at calle sol oriente next block is the property with tall trees and stone wall . Welcome to Quintana Roots! 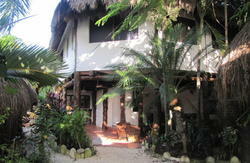 We are located at the heart of Tulum, on the crossroads to downtown, the beach, historic Mayan ruins & breathtaking cenotes.